Dedicated to helping ALL athletes become stronger, faster, and more injury-resistant. Coach Al is the owner/founder of Pursuit Fitness, LLC, a nationally recognized coaching company for endurance athletes, where he has been coaching athletes of all ability levels from novice to elite, since 1999. Among the many athletes Coach Al has helped reach their ultimate potential is 5-time Age Group Ironman World Champion and course record holder, Lisbeth Kenyon. Certified in Clinical Gait Analysis by Medical Motion, a subsidiary of Sports Motion, Inc.
Coach Al is passionate about helping athletes like YOU to grow, prosper, get faster, stay healthier, get stronger, and go longer! In the world of endurance sports and strength & conditioning, Coach Al has done it all and has the t-shirts to prove it! 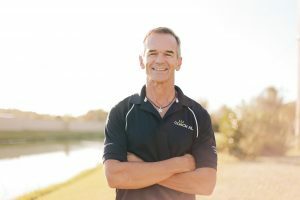 As an athlete, Coach Al is a 25-time marathon finisher with a personal best of 2:39 at the Boston Marathon, and a nine-time Ironman Triathlon finisher, including three finishes at the Ironman World Championship in Kona, Hawaii.